Can you think of something more universally loved than muffins? The beloved muffin deserves a day of its own, and for that, we have February 20. It’s National Muffin Day!English muffins have been whipped up in kitchens as far back as a thousand years ago in Wales, and American style muffins have been around since the 18th century. 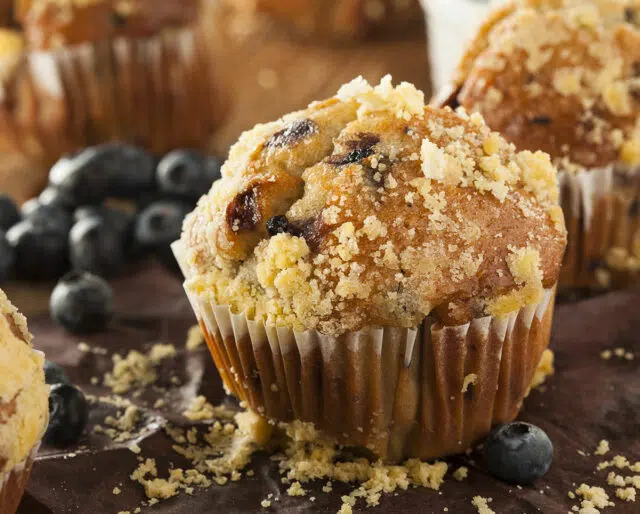 Muffins are a great breakfast on the run, a perfect substitute for toast during brunch, and an easy treat to make and give as a gift. How are you going to celebrate National Muffin Day? Hopefully by eating a lot of muffins, but we have a few other ideas for toasting this spectacular baked good. If you saw Portuguese muffins above and a question mark popped up over your head, you're not alone. Known as Bolos Lêvados in some places, and Portuguese pancakes in others, these delights are like a sweeter version of English muffins. See if you can hunt some down in your local market, or if you're feeling ambitious, look up a recipe and get cooking! There might not be an easier baked good to make. We've even included a few awesome recipes below! The Portuguese muffin takes a bit more effort, but they're worth it. Feeling sheepish? Don't! A few simple ingredients and a muffin tin are all you need to make the muffins of your dreams. You can do it. We believe in you. There's English muffins, Portuguese muffins, American muffins, and so many hybrids (cruffins, duffins, muffin tops, and a whole lot more). If you don't love one of them, you're bound to find another that you do! And don't even get us started on flavors: blueberry, cranberry orange, bran, chocolate chip. There's a muffin for everyone. Elaborate cakes and pastries are involved affairs, Muffins, though, are a type of quick bread, and as that title suggests, they don't take long to cook. Muffins are so easy to make you can whip up a batch on a weekday before work or as a friend is on their way over to gab. Have a buddy in the doldrums? Make some muffins and leave them on their doorstep, a sure thing for bringing smiles. Muffins are kind of like Oreos — everyone has their own way of eating them. Do you go for the stump first, or dive straight into the top? Do you split the too and spread butter or jam between and smush the concoction into a muffin sandwich? Do you pick off pieces for dainty bites, or just stuff the whole thing in your mouth?